Our Massachusetts Motor Vehicle Accident Attorneys Handle All Types of Mass Motor Vehicle Accident Cases. 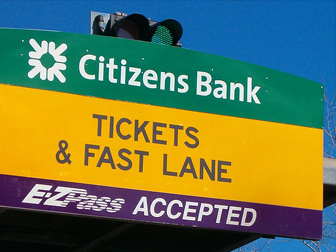 Call Our Boston, MA Car Accident Lawyers 24/7 at 617-787-3700. Please contact our Massachusetts car accident law office now to schedule a confidential meeting to discuss your personal needs with one of our expert Massachusetts personal injury lawyers at (617) 787-3700 or email us at info@gilhoylaw.com. In Massachusetts, there are an average of 4,500 injuries and 500 deaths that result from Massachusetts motor vehicle accidents every year. 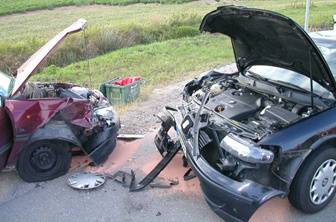 In some Massachusetts car accidents, the resulting injuries are only temporary, such as soft-tissue neck and back pain. These injuries are able to heal over time with the appropriate rehabilitation and treatment. In less fortunate circumstances, Massachusetts car accident victims may suffer severely debilitating injuries, such as a traumatic head injury. Massachusetts car accident victims may even suffer injuries that are life-threatening. In the most devastating car accidents, a Massachusetts resident may suffer a wrongful death. In the event of a Massachusetts wrongful death arising out of a Massachusetts motor vehicle accident, our expert and highly skilled Massachusetts car accident wrongful death attorneys will seek to obtain the highest possible settlement for the Massachusetts car accident victim’s family. We are experts at what we do. If you or a loved one has been the victim of a Massachusetts car accident and has suffered injuries, you are most likely concerned about how you will pay your medical bills. There is also the likelihood that you are wondering how you will continue to support your family if you have been forced to spend significant time away from work and have incurred lost wages. The Massachusetts car accident attorneys at our Boston, Massachusetts law firm have over 25 years of experience in recovering full and fair compensation for our Massachusetts car accident clients. Our Boston, MA car accident attorneys will fight tirelessly on your behalf to obtain medical expense reimbursement and compensation for your lost wages, in addition to money damages for your pain and suffering and loss of consortium. We are not content unless you are completely satisfied and have received just and fair compensation for your Massachusetts car accident injuries. The mission of our Boston, MA law firm is two-fold. First, we seek to provide outstanding legal representation for our Massachusetts car accident clients at all times. Many of our expert Massachusetts car accident attorneys who are available to our Massachusetts clients through referral agreements have been acknowledged as some of Boston’s best attorneys. Specifically, the Boston Globe has recognized a number of our attorneys as being among Boston’s Best Lawyers. Boston Magazine has also recognized many of our Massachusetts car accident lawyers as Massachusetts Super Lawyers and New England Super Lawyers. 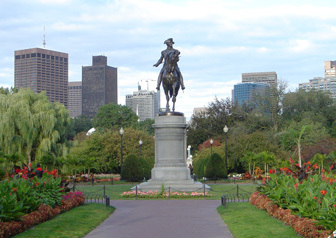 Second, our Boston, MA law firm seeks to always provide excellent client service. We understand that a Massachusetts car accident can cause some of the most severe physical and emotional pain that you or a loved one may experience in a lifetime. It is with compassion that we make it a priority to make sure that all of our clients are kept fully-informed about their case at all times. We respond promptly to all client inquiries and copy our Massachusetts clients on all correspondence. Our Massachusetts car accident attorneys never act on behalf of a client without the client’s full agreement and consent. We are not content with the outcome of a client’s case unless the client is fully satisfied that he or she has received full and fair monetary compensation. There is a statue of limitations that sets a deadline on the amount of time that a Massachusetts car accident victim has to settle a claim or file a lawsuit. In the event that you or a loved one has been the victim of a Massachusetts car accident, it is thus crucial that one of our skilled Boston, MA car accident attorneys be consulted at the outset so that no Massachusetts filing deadline are missed and so that all evidence regarding your Massachusetts car accident case is obtained and preserved. Call our Boston, MA car accident personal injury attorneys today at 617-787-3700 or email us at info@gilhoylaw.com. Your needs are our top priority! Massachusetts law limits the time in which you can make a claim, so call our Boston, Massachusetts accident injury lawyers today at (617) 787-3700 or email us at info@gilhoylaw.com. Let us put our knowledge and experience to work for you! Our Massachusetts Motor Vehicle Accident Attorneys and Boston Personal Injury Lawyers Have Vast Experience Dealing with All Types of Mass Motor Vehicle Accident Cases. If you have further questions regarding any of these types of Massachusetts motor vehicle accidents, please call the Boston, MA Law Offices of Gilbert R. Hoy Jr. and Affiliates at (617) 787-3700 or email us at info@gilhoylaw.com. Our Boston, MA car accident lawyers offer free initial consultations to find out if you have a valid claim and for you to learn how we can help you gain fair and just compensation for your pain and suffering. 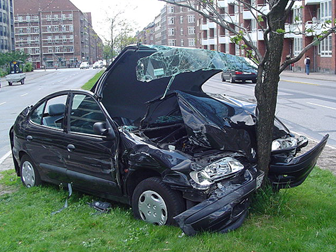 Protect yourself and your loved ones and call our Boston car accident injury lawyers today. Our expert Massachusetts auto accident attorneys and expert Massachusetts wrongful death attorneys represent Massachusetts auto accident personal injury victims throughout the Commonwealth. Our Massachusetts Motor Vehicle Accident Attorneys Are Experts With Respect to All Types of Mass Motor Vehicle Accident Cases. Our Boston Lawyers Have Obtained Millions of Dollars in Damages For Our Massachusetts Car Accident Clients. Call Today at 617-787-3700. Your Needs Are Our Top Priority!